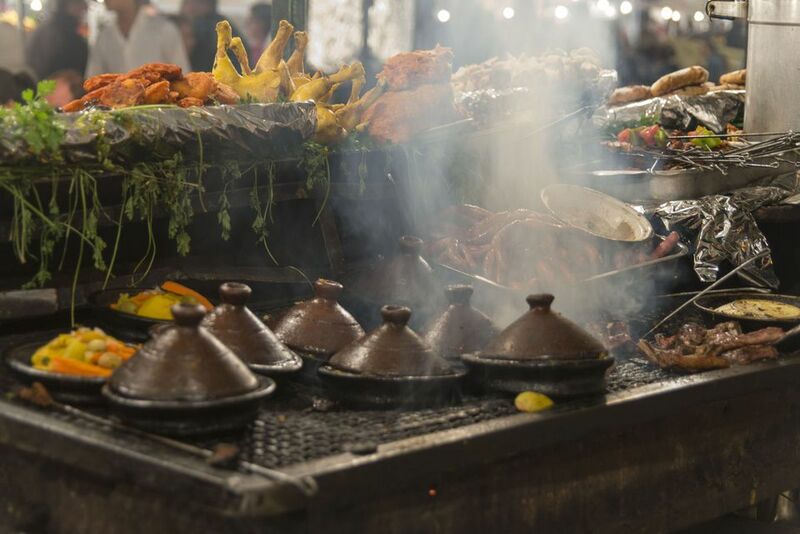 Tagines are cooking vessels commonly used in North African countries like Morocco and Algeria. It consists of two pieces - a plate-like bottom and a conical shaped lid. The bottom doubles as a serving dish, which comes in handy for nomads. Heat is retained for hours in a tagine, which is used on the stovetop in kitchens. This well-made tagine is manufactured by All-Clad, a name you can trust, and brought to you by the world-famous chef Emeril Lagasse. This tagine comes with recipe cards to use with your new tagine. The base is also non-stick, a must have for easy cleanup. Le Creuset products are simply the best of the best, and their tagine measures up to my standard. The sturdy, stainless steel base will not absorb odors and is easy to clean. This tagine produces perfect culinary creations. This is a pricier tagine, but you are guaranteed the performance of All-Clad. All-Clad Tagine adds performance and style to this method of cooking. The glazed terracotta cover returns moisture to the dish and the stainless steel base offers superior heat distribution. This tagine is suitable for oven to table presentation. This flame top tagine goes from stovetop to table and makes a simple, tasteful presentation. The flame top tagine can also go from freezer or refrigerator right to the oven for easy make-ahead preparation. Do You Know How to Select the Best Wok for Your Kitchen? When Is the Best Time of the Year to Buy Cookware? What is a Comal Used for in Mexican Cooking? Where Can I Buy a Shawarma Cone?